What Triggered the rise: HB Fuller Co (NYSE: FUL) stock rose over 3.2% on January 17th, 2019 (as of 10:52 am GMT-5 ; Source: Google finance). Gross profit margin was 27.3 percent, compared with 24.9 percent in the same period in 2017 and adjusted gross profit margin of 28.1 percent5 increased 150 basis points versus last year, driven by strategic pricing gains, raw material sourcing synergies and lower manufacturing costs. Selling, General and Administrative (SG&A) expense was $140 million compared with $151 million last year. Adjusted SG&A expense of $131 million6 increased compared with $117 million in the fourth quarter of 2017, primarily due to the impact of acquisitions. Adjusted SG&A expense declined by $2 million, on a pro-forma basis for Royal. Strong Cash Position: At the end of the fourth quarter of 2018, the Company had cash on hand of $151 million and total debt equal to $2,248 million, of which approximately 70 percent had a fixed interest rate. This compares to cash and debt levels equal to $150 million and $2,364 million, respectively, in the third quarter of 2018. Cash flow from operations in the fourth quarter was $146 million compared to $70 million for the same period in 2017, reflecting the increased profitability of the business and improved working capital management. Capital expenditures were $22 million in the fourth quarter of 2018, compared with $19 million in the same period last year. FUL in the fourth quarter of FY 18 has reported the adjusted earnings per share of 90 cents, missing the analysts’ estimates for the adjusted earnings per share of $1.01. The company had reported the adjusted revenue growth of 13 percent to $768.4 million in the fourth quarter of FY 18, missing the analysts’ estimates for revenue of $808.7 million. Organic revenue was up 4 percent, driven by pricing and double-digit growth in Engineering Adhesives. Pleasing Outlook: For fiscal year 2019, the company anticipates adjusted EPS of $3.15 to $3.45 and adjusted EBITDA of $465 to $485 million. Full year organic revenue growth is expected to be 3 to 5 percent compared with 2018, with net revenue growth of approximately 1 to 2 percent including an estimated unfavorable impact from foreign currency exchange rates of 2 to 3 percent. The company’s core tax rate, excluding the impact of discrete items, is expected to be between 26 and 29 percent. H.B. 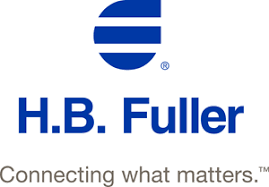 Fuller expects to invest approximately $100 million in capital items in 2019.